Athabasca Glacier. Melt water outflow from the Athabasca glacier in the Columbia Icefield, Canada. 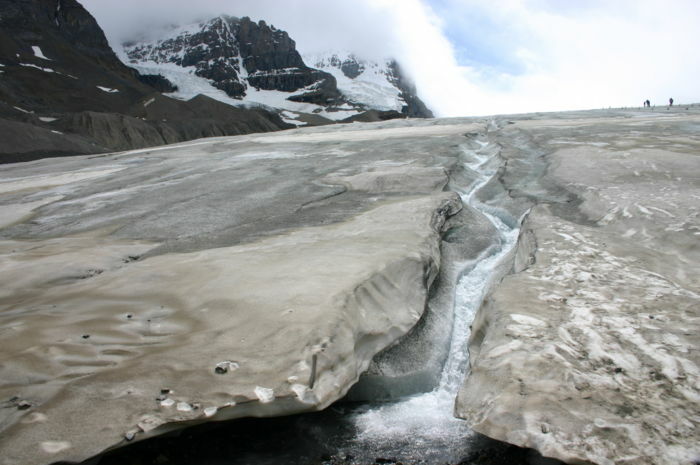 This glacier has retreated ~1500 m since the late 19th century.. Wallpaper and background images in the Global Warming Prevention club tagged: global warming.